Isn't it funny how your children can inspire you in so many ways? You think that you're the role model and the boss, but really, they are constantly teaching you. Well, that's the case for me anyway. 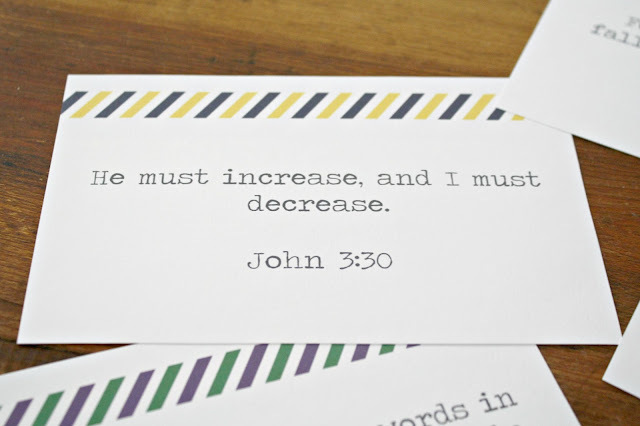 One of the things that I've decided to work on this year was teaching Jake a Scripture verse every month. He has a fantastic memory and picks things up with incredible ease. I wanted to fill that sweet head of his with encouragement and love and truth! Month by month, Jake is learning these precious words. We're up to verse number seven and I couldn't be prouder! And what he's learning is inspiring me as well. I get a refresher with each of these verses myself and am so encouraged to learn more and more. Since its such a great thing for us, I thought it might be something to share with others. 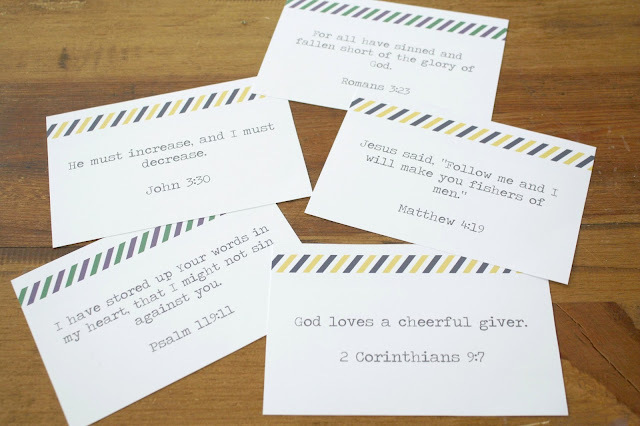 So I've add a set of Scripture cards to the print shop! 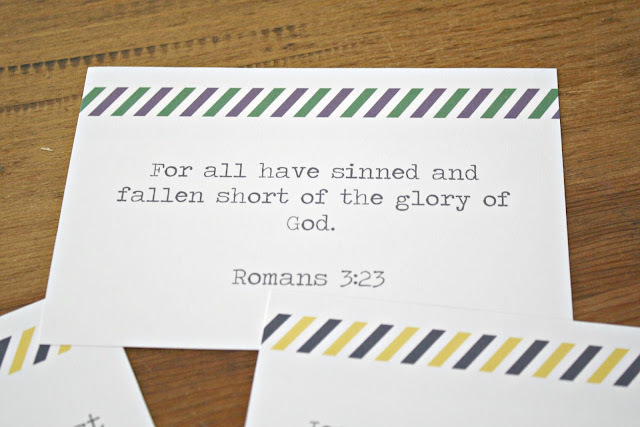 This listing includes a digital file with twenty Scripture cards with verses that anyone can learn. Just print and enjoy!! Another great idea for these cards is to create a flip book. Simply punching a hole in the corner and adding a book clip means you have all the cards together. You can take it anywhere or just use the concept to keep your cards organized. Swing by the Live A Little Wilder print shop today to nab a copy of these awesome cards!